Gili Labak Sumenep may sound strange and new destination for oversea tourists because they must be more familiar to Gili Grawangan in Lombok. But, never jugde and compare the island before you visit and explore it. Gili Labak itself is a small island and in 2016 becomes one of the most wanted tourist destination for travelers, especially for local tourists to get a new destination and new experience in East Java. 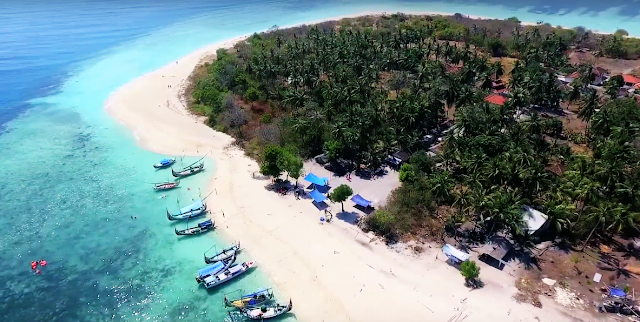 Even tough Gili Labak is not a mainstream destination yet, but since the netizen talking about it, they curious to know deeper about the location. The gorgeous and picturesque views that are published in internet make the real travelers directly include Gili Labak to the next destination. Gili Labak lies at Kombang Village, Talango sub-district, Sumenep Regency, East Java, and precisely at the east of Poteran. The island used to get a name as Tikus Island or Rats Island because the location is hidden. But now, it more populer with the name of Gili Labak. 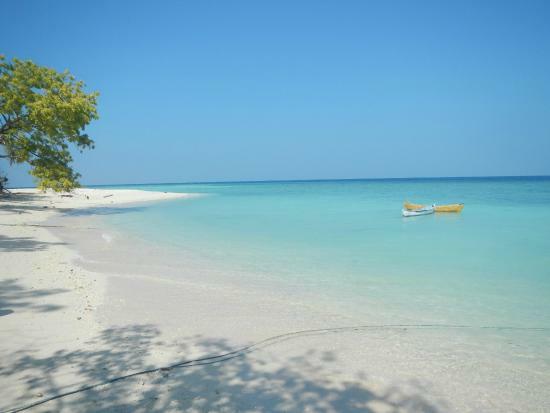 You can take private car, motorcycle, or public transportation to Gili Labak. If you arrive at Kalianget at night, you can stay at the resident houses that close to Kalianget Port by paying IDR50k – IDR70k per night. If you take public transportation, you can choose this alternative route : Surabaya – Sumenep bus terminal (IDR60k) – public transportation or ojek/taxi motorcycle or bemo to Kalianget (IDR20k) – crossing to Gili Labak by boat (IDR400k – IDR500k round trip for 18 passengers). Actually, there are many route you can take and it depends to where you come from. This ia a common route to Gili Labak because accessible. From Sumenep City, you can go directly to the east around 10 km until Kalianget Port. At the port, you can take passenger boat or rent a boat for yourself to take you to Gili Labak Island. The trip takes around 2 hours. For tourists who come outside of Sumenep City, you can choose Lobuk Village. The village has a dock and becomes the only one alternative route to Gili Labak, Gili Raja, and Gili Genting. From Sumenep Regency, after arrive at the Bluto T-intersection you can take a direction to the right and go straitgh on to the east until you meet a small pier. There, you can reserve a boat to sail to Gili Labak. Travelers also can take other route to Gili Labak, i.e. Saronggi. From Saronggi T-intersection, you can choose the route to the east. Just follow the road until you meet the beach. Near the beach, there is a pier and you can rent a boat to Gili Labak. The next route to Gili Labak is through Kombang Village. This is the shortest crossing spot by boat because the village is located at Talango sub-district. From Sumenep City, you can choose the road to the east until Kalianget. Just go straight on to Talango until you arrive at Kombang Village. You can rent a boat to Gili Labak by lower prices and shorter time. Last edited by d'blitz; 17-02-2017 at 15:13. As you sail by a boat to Gili Labak, you will meet several islands that look like floating. If the weather friendly to you, it will be easier to witness fish cages and small piers as well. And then, welcome to Gili Labak, a hidden paradise in Sumenep. Perhaps, the trip is exhausted but when you arrive, it is gone suddenly because you surely will amaze seeing marine panorama with crystal water around the island. The coral reefs also look so healthy and it looks like waiting to be explored. There is one thing you have to do beside marine sports in Gili Labak, i.e. strolling the island. With a small area (5 hectares), it needs only 30 minutes – 1 hour to do it. Most of local resident work as fishermen, start from sailing, cleaning the fish, dry it, and then send it to the market. It is a common view in Gili Labak to see overlay dried anchovy. The smell is very peculiar. You also can capture the view and marine life from a perfect angle with your camera. The white sand and the gradation of turquoise color. You will see the boats that are sailing around Gili Labak looks floating above the coral reefs. After satisfied capturing the pictures, you can start exploring underwater of Gili Labak. Most of tourists plan to snorkel and dive. If you desire the same, you better bring your equipment from home because there is no rental equipment here. But if you join to travel agent, you may get it from them. The depth of the water at Gili Labak is from 1.5 – 4 meters. Even, before you jump into the water, you can see group of fishes and coral reefs easily. After snorkeling and diving, you can ask permission to local residents to clean yourself because the facilities for this one is not available, yet. After that, you can start to hunt local culinary. You can taste local culinary and young coconut (IDR8k). If you order a package (IDR100k) it is enough for 5 persons. All times are GMT +8. The time now is 13:01.